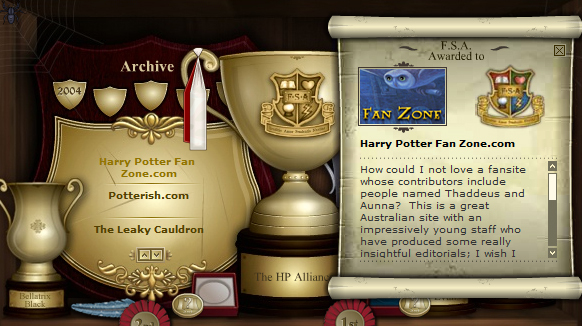 While writing the Harry Potter books, J.K. Rowling would periodically recognise fan sites on her official site. Over the years she awarded a small handful of sites a “Fan Site Award”. Harry Potter Fan Zone was the recipient in 2007, the year the final ‘Potter’ book was published.